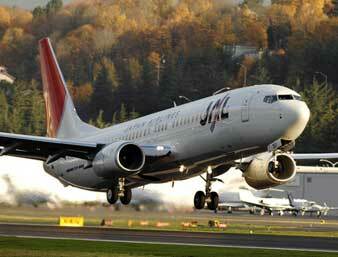 Japan Airlines Corporation, or commonly known as JAL, is the national airlines of Japan. With the title of being the largest airline operator in Asia with base in Tokyo operating Japan's largest airline, JAL operates both scheduled and non-scheduled international and domestic flight services. The main bases for JAL are Tokyo International Airport and Narita International Airport. Both are located in Tokyo. Under the famous JAL brand, there are 2 companies which operates. First is Japan Airlines International and second is Japan Airlines Domestic. Both companies have their responsibilities with Japan Airlines Domestic handling JAL's extensive wide network of intra-Japan flights, while JAL International handles the international and trunk domestic flights. Both airlines later merged to form one single unique brand, Japan Airlines International. JAL owns the largest fleet of Boeing 747s in the world. Another interesting fact is that JAL is one of only three Asian airlines that flies to Mexico City and São Paulo which are in Latin America alonside Malaysia Airlines and Air China. Onboard entertainment system for JAL is known as MAGIC. JAL Entertainment Network (JEN) updates the system and offers credit card phone, movies, destination guides, active aircraft statistics such as interactive map location of aircraft while on air, games, filling up immigration form guide and many more. Japan Airlines and its subsidiaries frequent flyer program is called the JAL Mileage Bank. The programme's eliter system is called The FLY ON Programme. JALCARGO is the name of Japan Airline group's freight service with JAL being a member of the WOW Alliance on cargo.